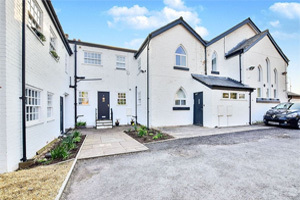 House purchase approvals slipped 5% in August, as the mortgage market slowed down for summer, according to the latest Mortgage Monitor from e.surv, the UK’s largest chartered surveyor. There were 63,485 house purchase approvals in August, 4.6% lower than 66,569 approvals in July. It was the second consecutive month in which house purchase approvals declined as the holiday season temporarily slowed the lending recovery. Since the start of June, monthly house purchase approvals have fallen 5.4%. However, a recovery in monthly approvals in June suggests that the recent fall is down to the holiday season, rather than an impact of new regulation. MMR was introduced on 26thApril 2014, and after a slight fall in lending in its pilot month, house purchase approvals increased 8.4% between May and June. On an annual basis, house purchase approvals increased by 0.3% annually, from 63,293 in August 2013. Richard Sexton, director of e.surv chartered surveyors, explains: “The summer holiday season has temporarily slowed the mortgage market, as home-movers hang up their property search in exchange for buckets and spades. But this is a seasonal stagnation rather than a sign of a more permanent decline. The new MMR regulations have been fully absorbed into the mortgage application process, the backlog of applications they temporarily caused has all been cleared away, and now the mortgage market is in full health moving forwards.